In an interview with NBC news in 1987, Jerry Sandusky showed a disturbing look into the earlier mind of the man now charged with 40 counts of sexual assault after sexually abusing at least eight young boys. Jerry Sandusky was at the height of his career when he was interviewed by NBC news, talking about The Second Mile charity he formed to help underprivileged youth. In light of the scandal that broke last Saturday, it is confirmed that Jerry Sandusky used that same charity as a way to pick his victims. “I enjoy being around children,” Jerry Sandusky said, smiling. Jerry Sandusky created The Second Mile as a charity to help underprivileged Pennsylvania youth, often in need of foster homes. The court report filed against Jerry Sandusky says the self-described mission of the charity was to “help children who need additional support and would benefit from positive human interaction”. Jerry Sandusky was very much the head of the program until he retired last year, and was the emotional leader of the organization, respected and admired by the children as a fatherly figure both because of his charity and because of his position in the Penn State football program. “One of the biggest things would be the trust that would developed,” Jerry Sandusky said of his goals for the program. “What we’re trying to be is, what we think to be of, is a true friend. Jerry Sandusky alludes to his role as a disciplinarian as well, which has an underlying message after having read the court reports which describe his sexual interactions with unwilling young boys. “Sometimes they don’t want it, sometimes they don’t understand what you’re trying to do but they want to be disciplined,” he said. The damage of the allegations continues to spread as the charity announced Sunday that Dr. Jack Raykovitz, who has served as the CEO of The Second Mile for the past 28 years, resigned, saying that he and the board of directors felt it was in “the best interest” of the organization. 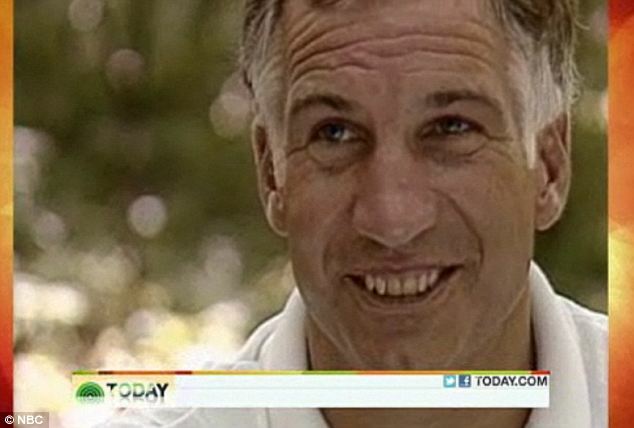 This old interview and the removal of Dr. Jack Raykovitz from The Second Mile comes just as one of Jerry Sandusky’s victims hired an attorney to pursue a civil suit against anyone who potentially knew about the abuse and did nothing. The lawyer, Ben Andreozzi, represents one of the unnamed victims and would not give any clues as to which one, but said that his client is “torn up” about the entire situation. “It’s important to understand that these folks were involved in the Penn State football community,” Ben Andreozzi said in an interview with the Today Show. “They were on the sidelines of football games, they were spending significant amounts of time travelling with the team and or in the locker room with the team and getting to know members of that football team. to say that he’s torn apart would be an emotion would really explain where he’s at right now,” he continued. Because of the victims close ties to Penn State, and really the town of State College as a whole, the ripple effects of the scandal are hard for Ben Andreozzi’s client to handle. “The general public may think that an abuse victim in his position would automatically have feelings of negativity towards the university and while I think he’s very disappointed in the way that members of the University community handled his situation or the situation involving the cove rup, it’s a complex issue and we need to understand that he has a variety of thoughts going through his head right now,” Ben Andreozzi said. The civil suit is the first of its kind in this scandal, as so far Jerry Sandusky and two other university administrators have only been criminally charged.